Homework Study – students attend daily after school!!! We don’t make you sign contracts because our program works! 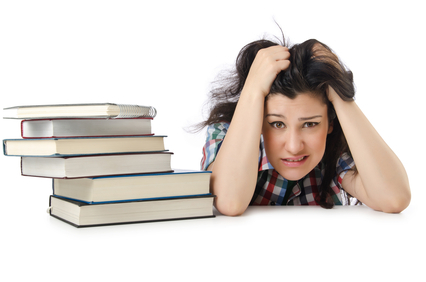 HOMEWORK doesn’t have to be stressful… We help students get the WORK done, so that HOME is more fun!!! AT HALF THE COST OF TUTORING… Parents can’t stop talking about the success of this program- and students like it! We have school teachers onsite assisting with homework, studying, and organizational skills. We monitor student progress, and are so proud of our students’ success! “Homework Study” offers an affordable alternative to traditional tutoring. Most students simply need to build consistent study skills and good homework habits in order to maintain their grades. The Technology and Learning Center lab enables students to complete homework assignments, projects, and study with experienced school teachers available to assist and answer questions. Each student will benefit from guided instruction in checking teacher websites and progress so that assignments are not forgotten. Student progress can also be checked from the 23” touchscreen computers available at each student workstation. All computers have the Microsoft Office suite, content filtered internet access, and numerous academic programs to enhance learning. * Fontainebleau student walkers may arrive immediately after school thru closing. Students are awarded Technology & Learning Center (TLC-Spider) bucks as positive reinforcement for hard work completing assignments and good grades. TLC bucks can be redeemed for gift cards, prizes, etc. All Students, including those utilizing pay per session, must complete Pre-registration.